Canstruction is an annual chartiy event held in 42 cities where architecture and engineering firms field teams to build huge sculptures from canned food. The sculptures are left on display for a few weeks, dismantled and all of the cans donated to local food pantries. The teams compete to win awards in several categories. Photos of local winners are pooled together and displayed at the annual AIA convention where judges determine national winners. 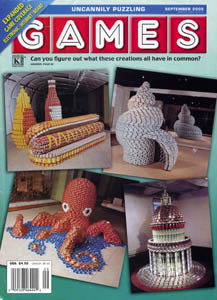 For more information, see the official Canstruction website.